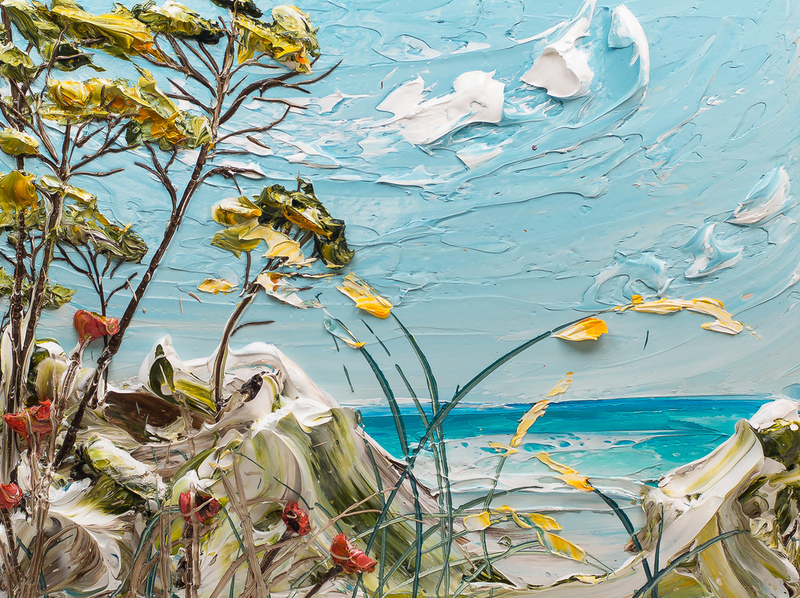 Some of Justin’s most recognizable works are his beautiful landscape paintings of the Gulf of Mexico. 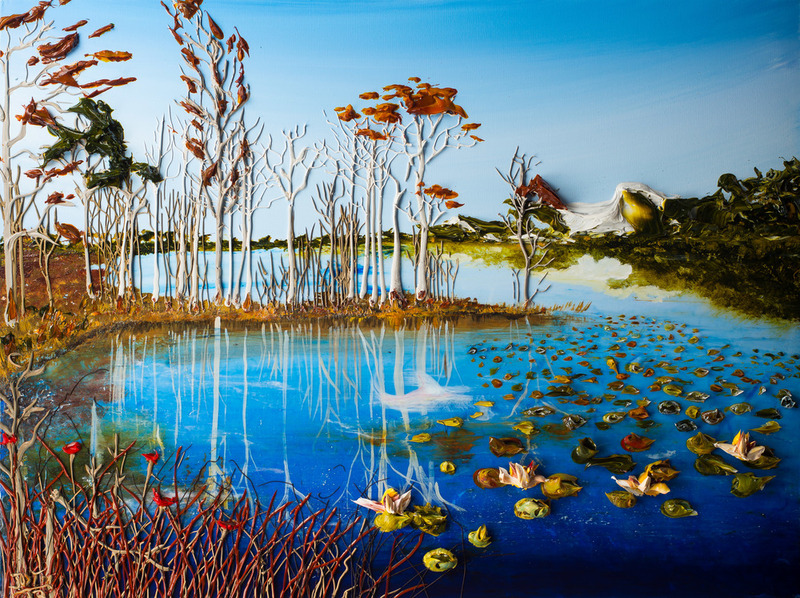 He also has work of the unique 15 Coastal Dune Lakes found along Scenic Highway 30a in South Walton, FL. These painterly acrylic compositions serve as a reflection of the colors, textures, and panoramic views of the Gulf Coast. 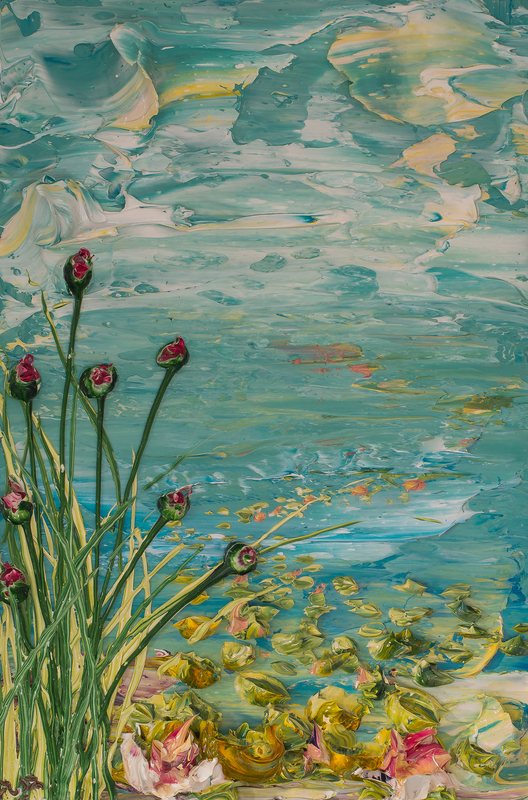 Justin’s landscape paintings are on permanent display at the Panama City International Airport, Sacred Heart Hospital of Santa Rosa Beach, Trenasse Restaurant in New Orleans, Trebeache Restaurant in Red Fish Village, and The Henderson Resort in Destin, FL. One of our Art Consultants will forward inventory and information to you about current paintings available. Below are samples of paintings that may or may not be available. Our Art Consultants can help you with sizes, styles, colors, and mediums. If you would like to make an appointment to have a one-on-one consultation either at the gallery or in-home, please call 850.267.2022. Still Life painting has deep roots throughout art history and includes a wide range of subject matter. Justin’s still-life paintings are often made up of culinary inspired compositions of shrimp and crawfish feasts, peace symbols, butterflies, hummingbirds, and beautiful bouquets of flowers. Justin's love for nature extends to animals too. 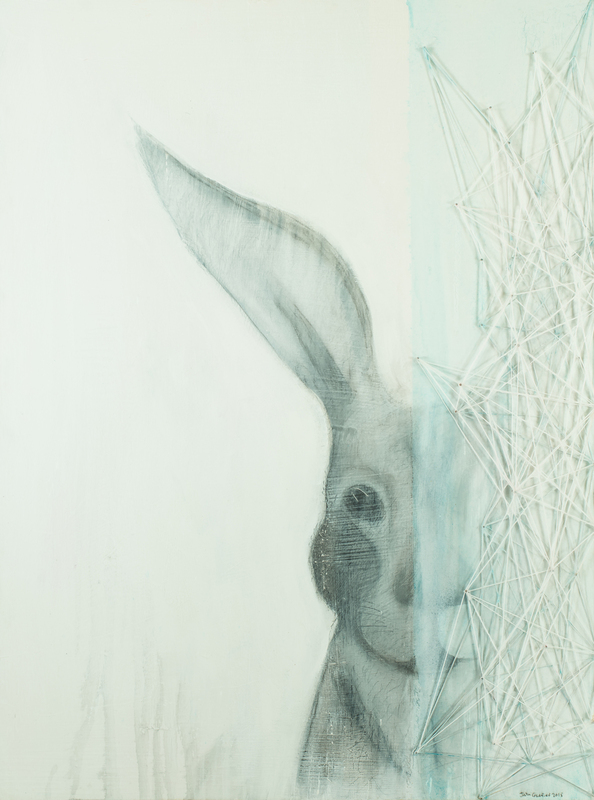 His conceptual self-portrait series includes the Stag, Rabbit and Bee. He resonates with the Stag the most of all animals. He respects the graceful and peaceful nature of the Stag and appreciations that he is still strong and preserved. Justin calls the Rabbit, the Trickster. The Rabbit represents the witty and mischievous side of himself. Justin dreams about Bees. Bees also represent community, communication and dedication to hard work. In 2017, Justin created "thought provoking" paintings that are rare originals and limited genre editions. These pieces are considered part of the Collectors Series. Justin started creating sculptures in 2013. Since he is a completely self-taught artist, it would only make sense that he would teach himself how to weld. His sculptures represent meaningful creations with materials used such as welded steel, acrylic, cypress wood block and panels, string and metal. 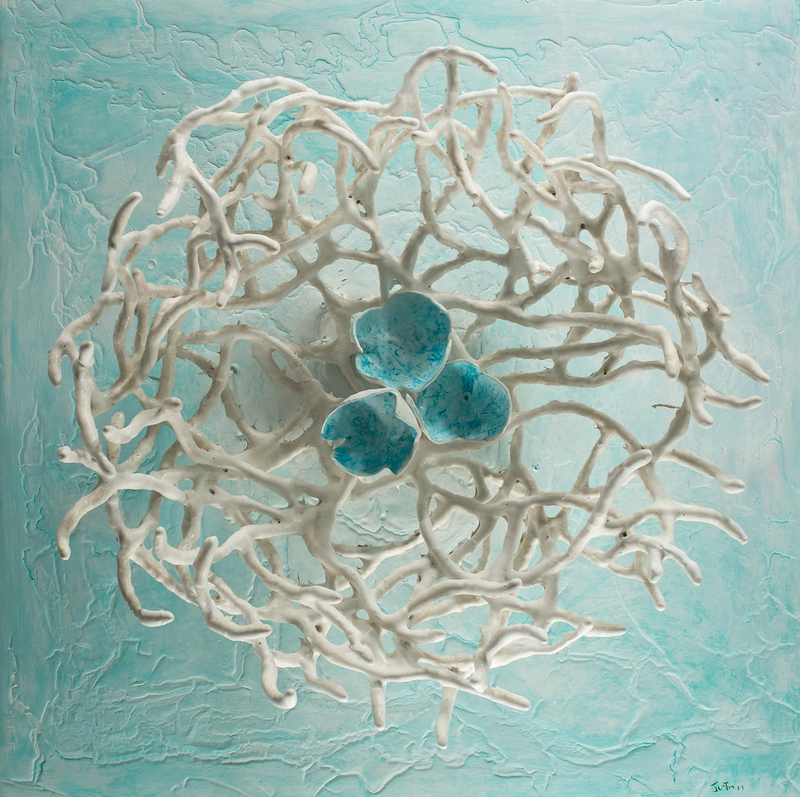 The organic works include Justin’s sculpted nests, paintings featuring local wildlife, and other various mixed media sculptural works. The nest compositions are a metaphor for security, home, and family. Justin depicts much of the coastal wildlife he encounters while riding his bike on the trails along Scenic Highway 30A. His subjects include deer, rabbits, bears, and reptiles; as well as a vast array of sea-life found in the gulf and coastal lakes. 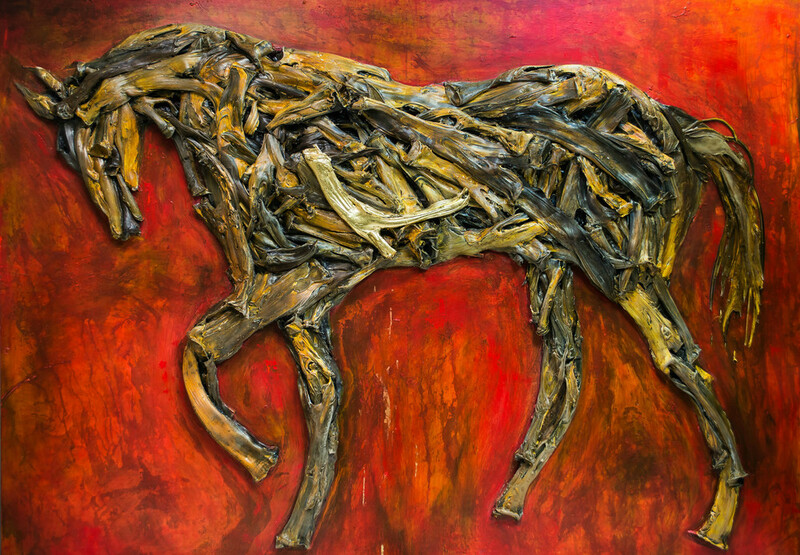 Justin recently began working with steel, welding several organic, mixed-media pieces, both wall hung and freestanding sculptural pieces, made up of local cypress, string, burlap, welded steel, driftwood, and acrylic paint. 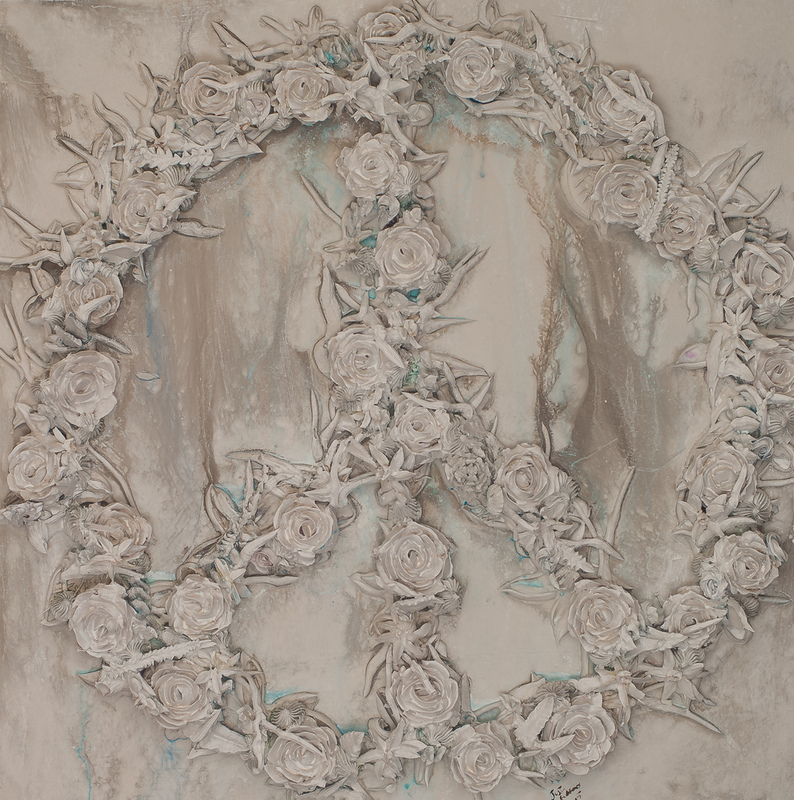 Justin’s floral paintings are inspired by his extensive travels and rooted in art history. 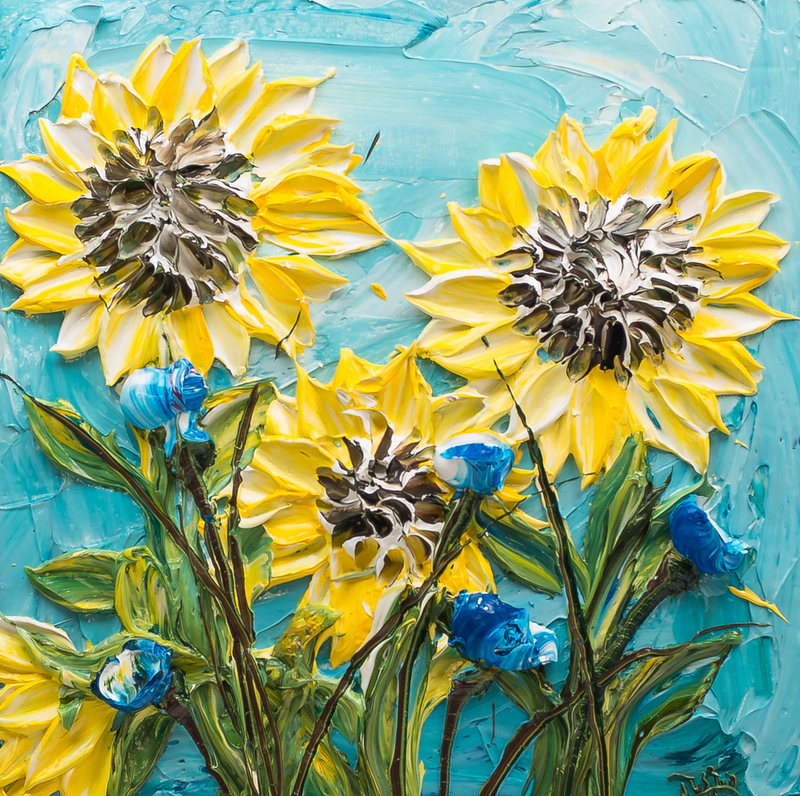 His expansive fields of the vivid red poppies are inspired by his travels in Italy and his sunflower pieces are inspired by his love of Van Gogh. 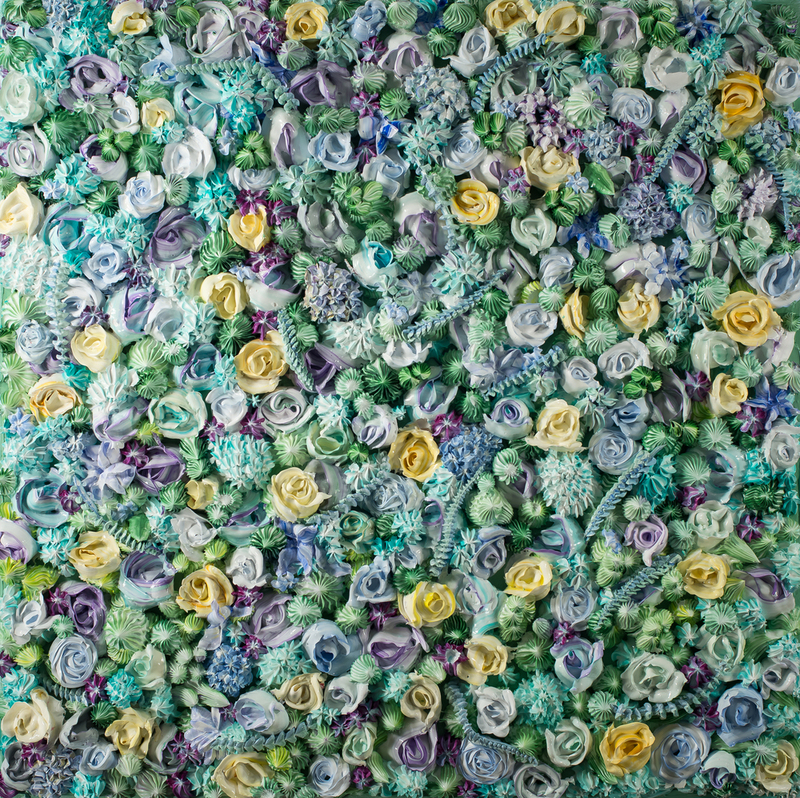 Within the floral series there are painterly expressionist pieces, pieces with carefully arranged, hand-formed flowers, as well as all over floral compositions. The floral series reflects Justin’s love of color and beauty in nature. Gallery is located just along Scenic Hwy. 30A in Blue Mountain Beach Summer Hours Monday-Saturday 10 am until 6 pm.